Following yesterday’s first round draw at the Glasgow 2014 Commonwealth Games, National Flyweight (52kg) Champion Charlie Edwards learned that he will have to wait until this evening to find out just who, out of Wales’ Andrew Selby or Scotland’s Reece McFadden, he will face in the first fight of his campaign, following his receiving a bye for the first round of competition. 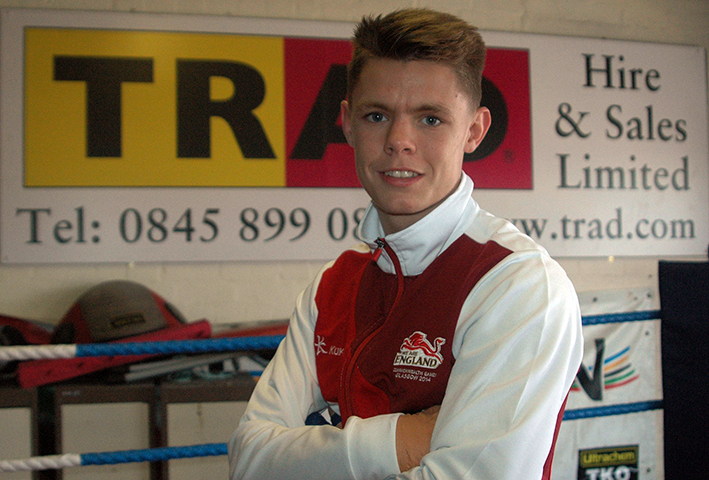 Back in April Charlie, who is coached by Brian O’Shaughnessy at the TRAD TKO Gym in Canning Town, London, won the 52kg Championship with a superb performance over fellow Team GB Boxing squad member Jack Bateson in the final, in doing so secured the Flyweight slot in England’s Commonwealth Games team. Following learning that he has a bye for today’s competition, as well as that it is either Selby or McFadden he will ultimately face on Sunday, Charlie said. “I’m disappointed that I’m not boxing today, but that is neither here or there, at least I know it will be either Andrew or Reece that I fight first. I think it’s a shame that it’s looking more like a Three Nations, rather than Commonwealth, with Andrew representing Wales, Reece being Scottish and of course myself representing England in the division. Only one of us will be going into the quarter final, which is a shame as we’ll only have one representative in it, hopefully it’ll be me. No disrespect to Reece, but I’m expecting it will be Andrew I’ll be fighting on Sunday, if it is it will be interesting, we’ve sparred hundreds of rounds. I’m over the moon to be here, I missed out on the Olympics, but this is the next best thing after the Olympics. I’ve worked hard for this and now it’s time to show the British public what I’m made of, put in a very good performance and hopefully make a house hold name for myself. For me to be here at all is a privilege, so winning the ABAs was so important to make sure I did win the place. Jack Bateson had moved up to my weight and was trying to take my Commonwealth spot, he’s also on the GB team, but I put him in his place, boxed really well, beat him really comfortably, so proved to everyone out there that am number one and that I should be representing England at these games. Hopefully now everyone will jump on the Edwards bandwagon, due to the performance I put in, and support me in my quest for Gold. Charlie Edwards versus either Andrew Selby or Reece McFadden, in the final sixteen of the 2014 Glasgow Commonwealth Games will take place on Sunday 27th July at approximately 6:30pm and will broadcast live on the BBC.